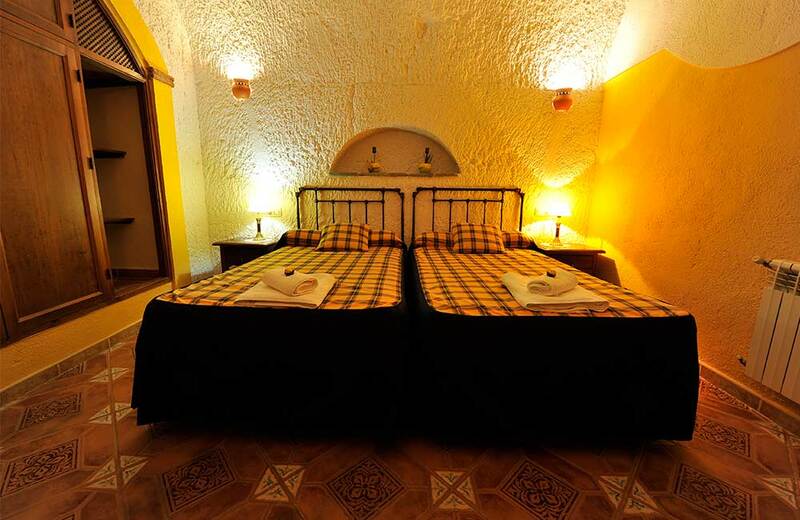 Kabila cave, with room for two people, is part of what was formerly the home of the first owners, so it retains much of the original details, such as original hydraulic floor. 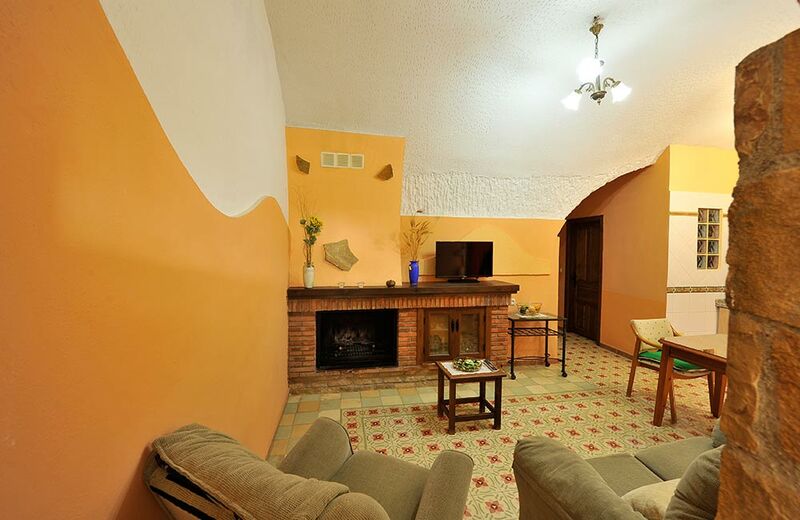 Cerro Kabila is a well-known viewpoint located in Benalúa where magnificent views of the region can be enjoyed. 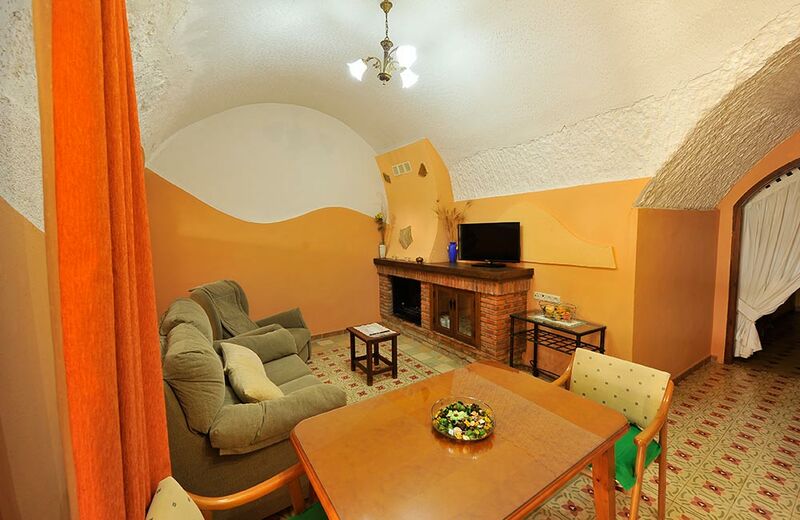 Fardes is a cozy apartment for two people where the living room is spacious and airy, with fireplace, flat screen TV and comfortable sofas. 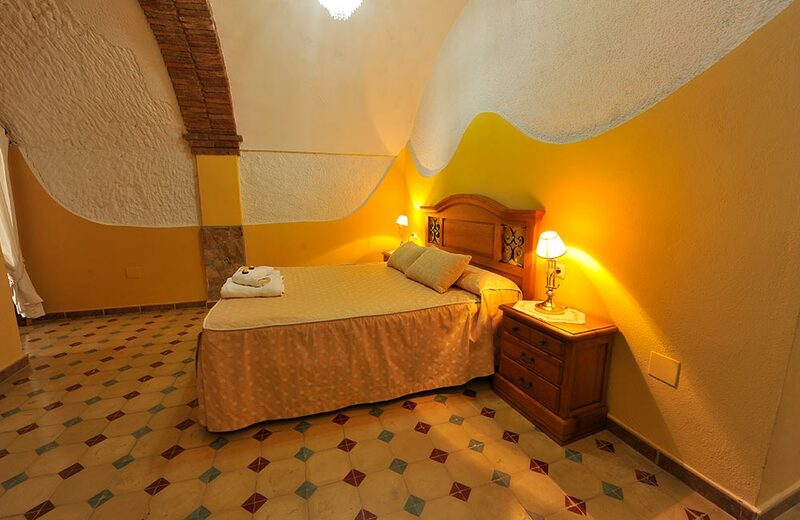 The bedroom, with two beds, is ideal for getting lost and rest. 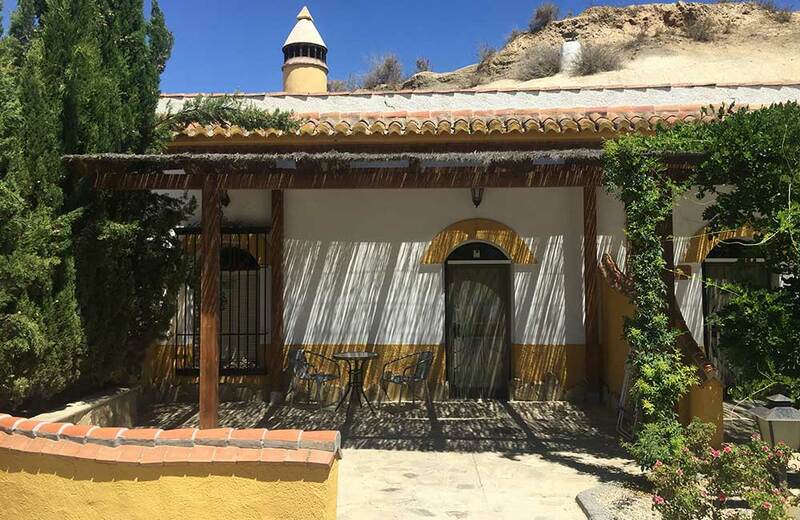 The River Fardes is one of the tributaries of the Guadiana Menor and it crosses Benalúa and part of the region. 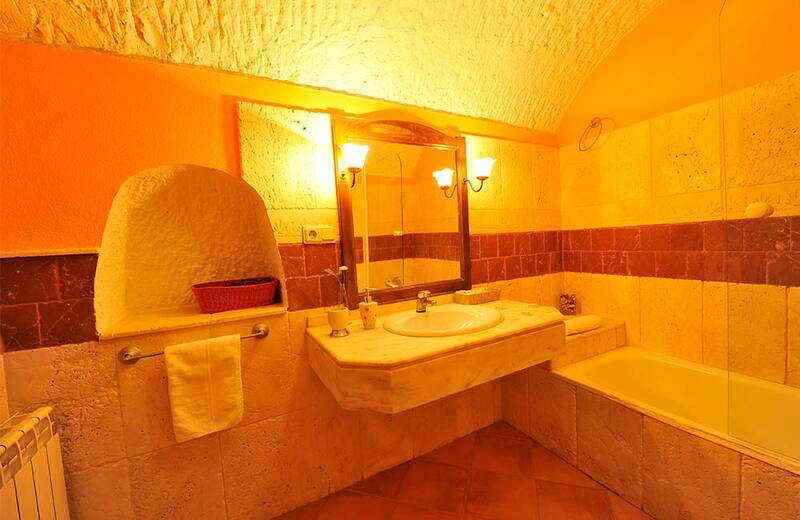 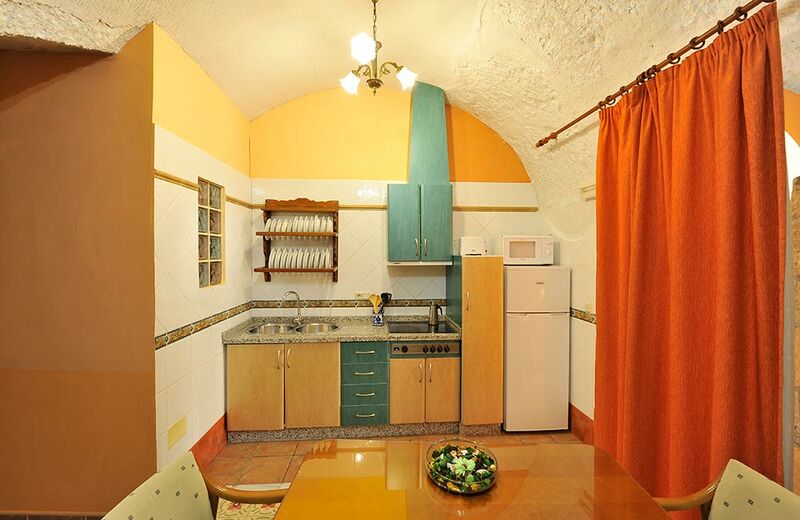 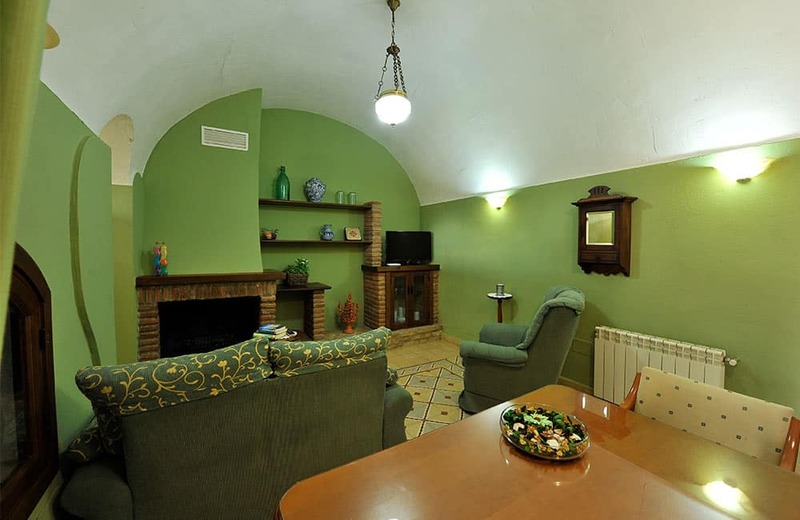 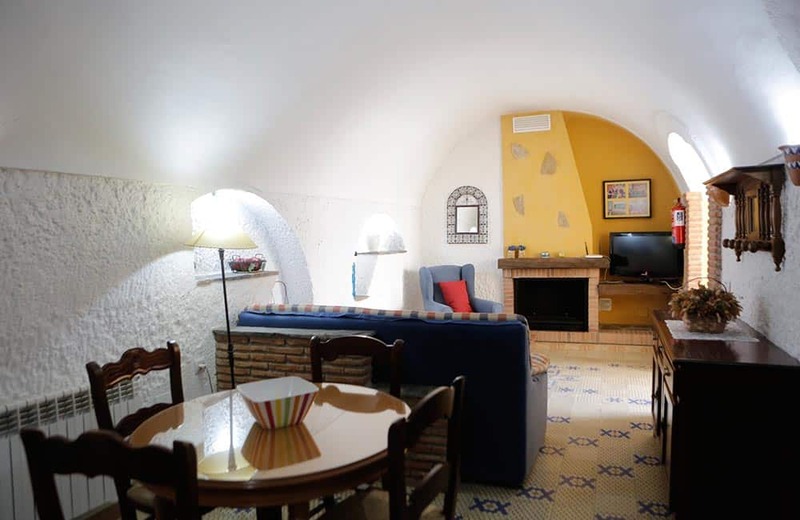 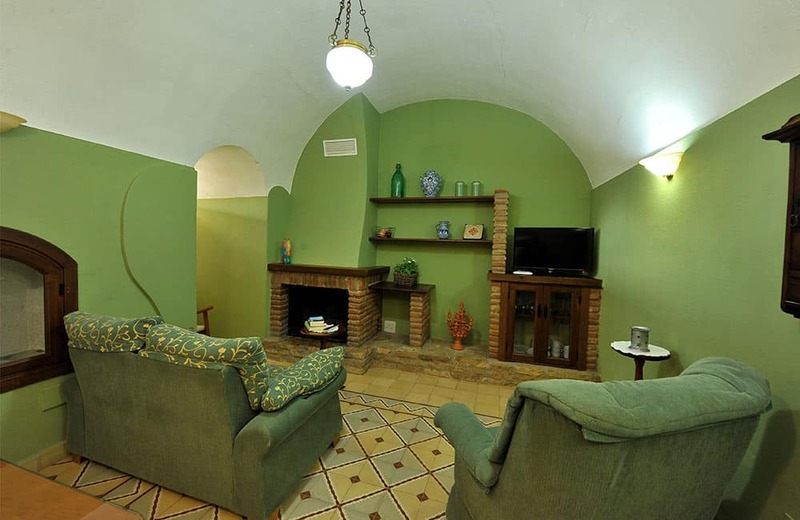 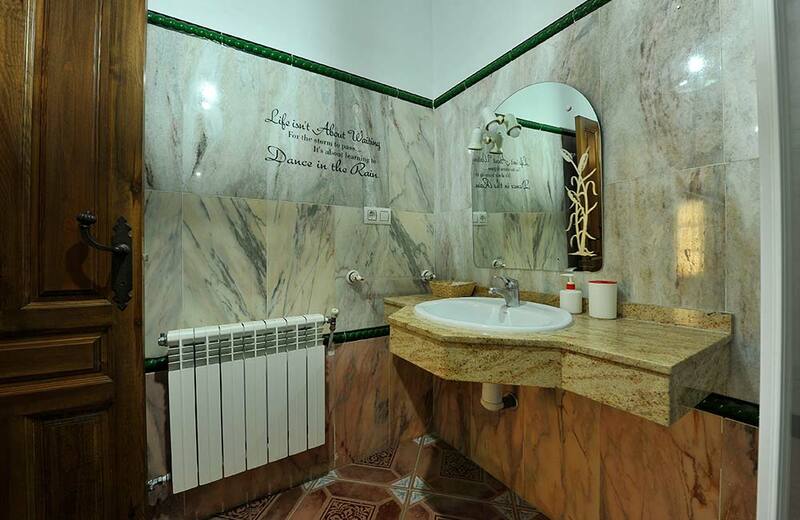 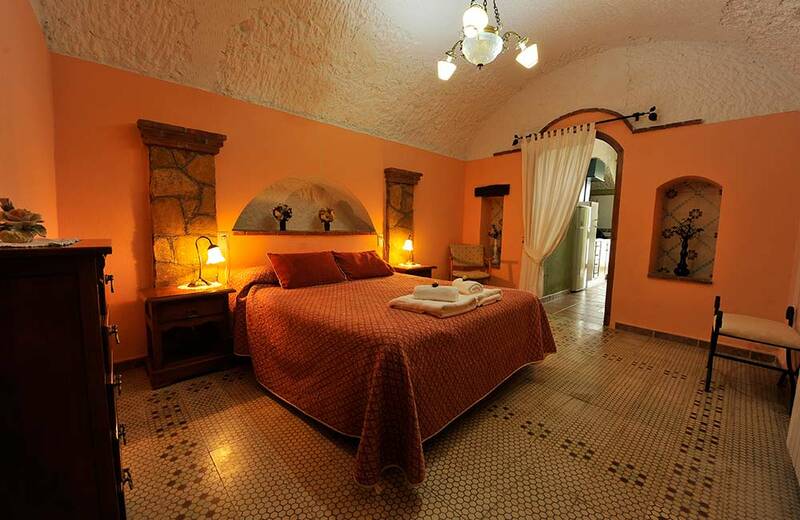 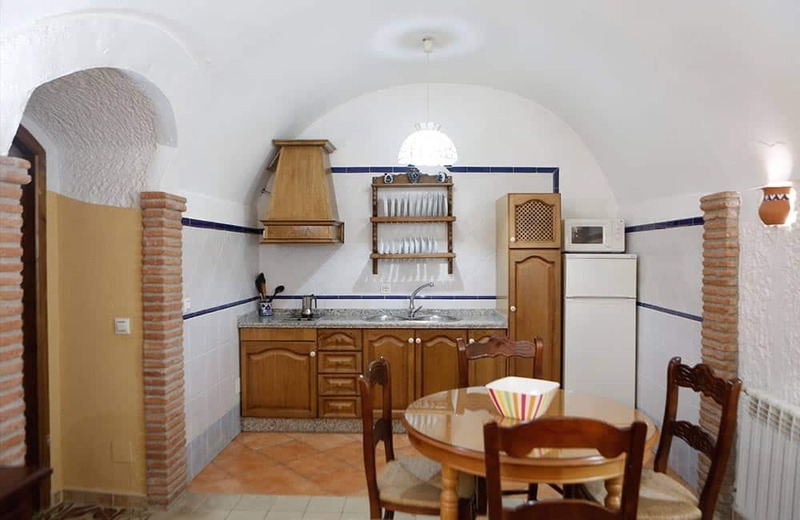 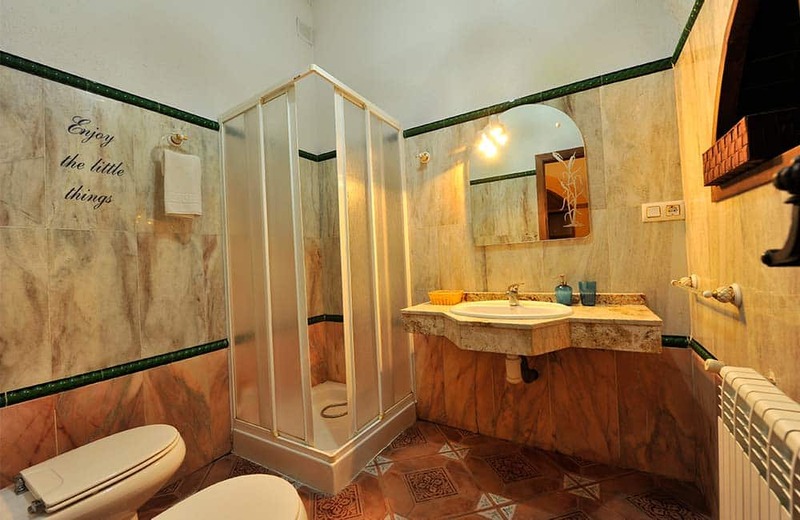 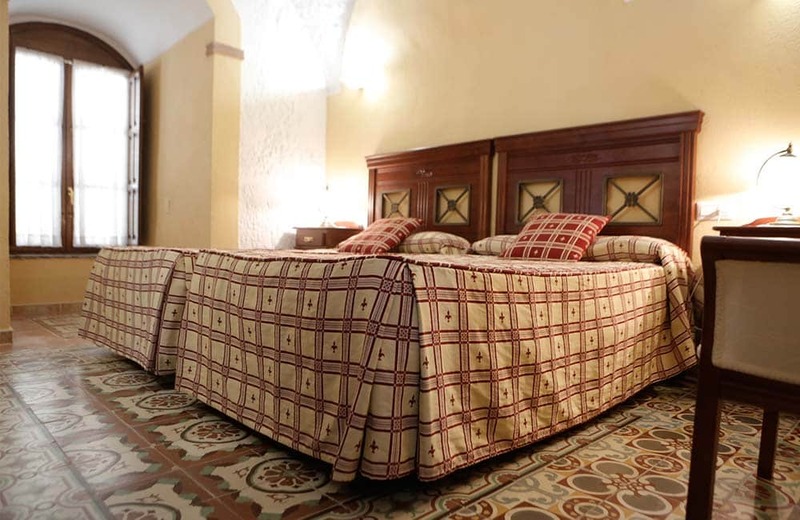 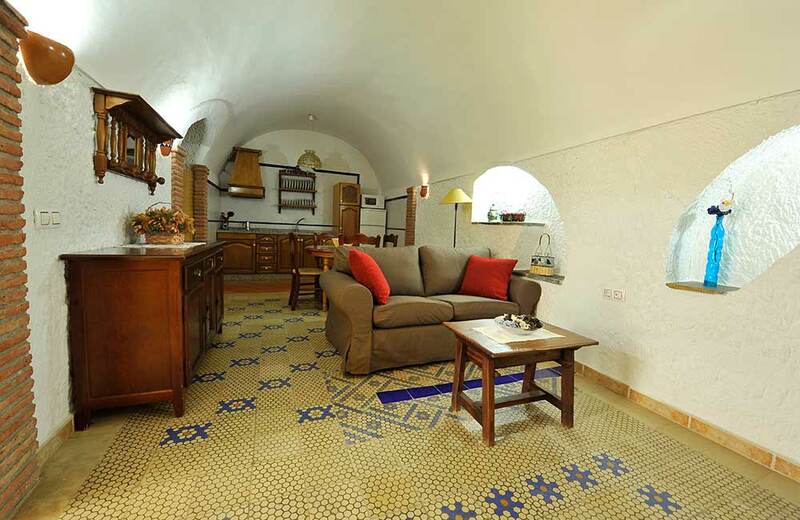 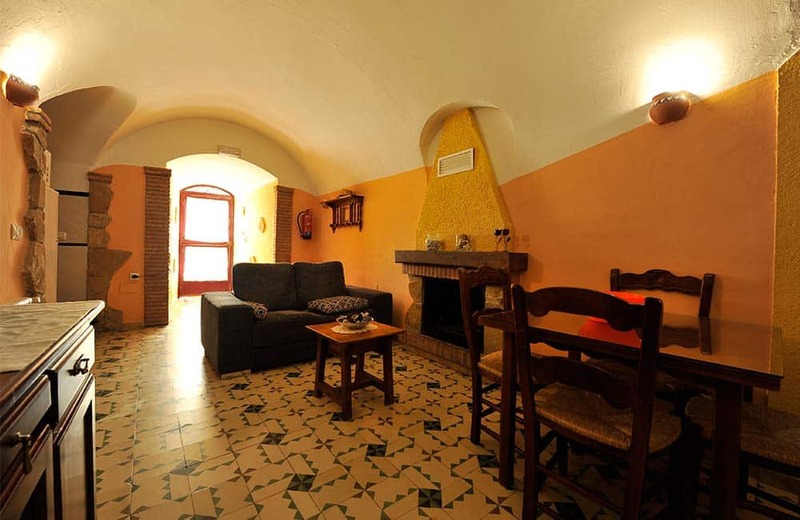 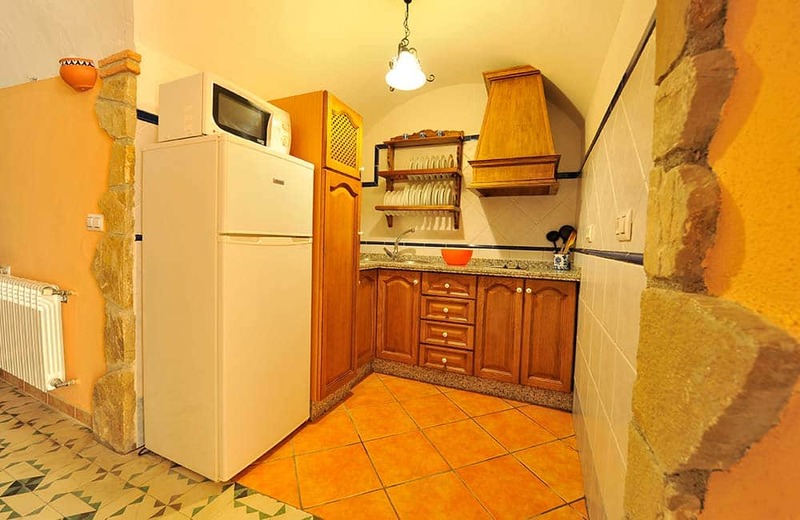 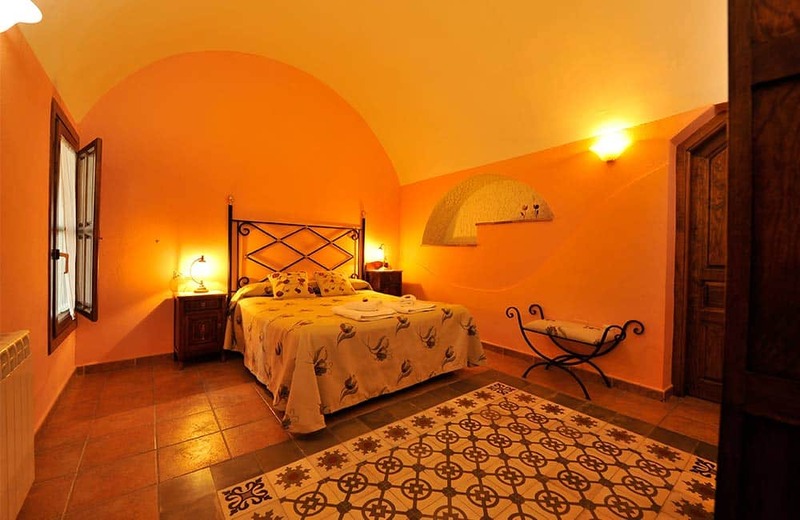 Cave Retama is a 1 bedroom apartment with double bed, perfect for couples. 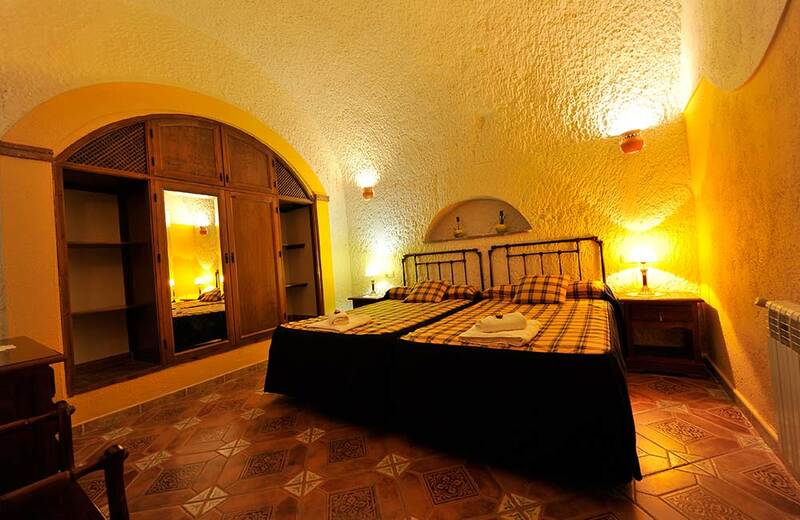 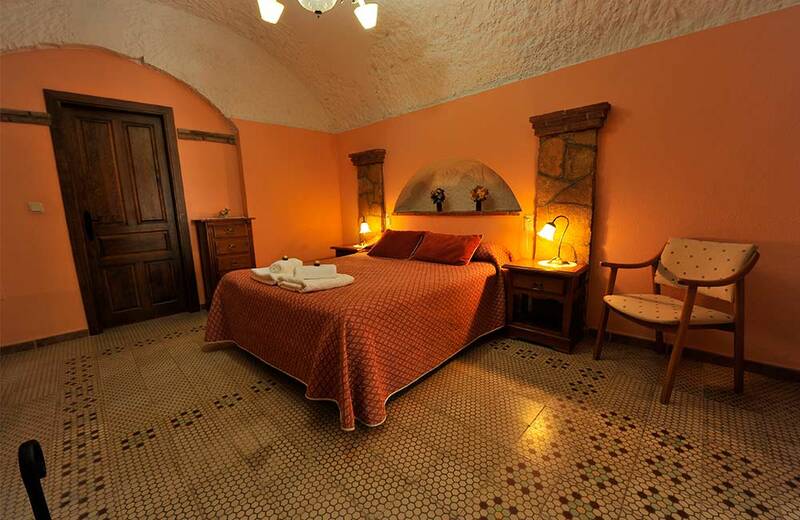 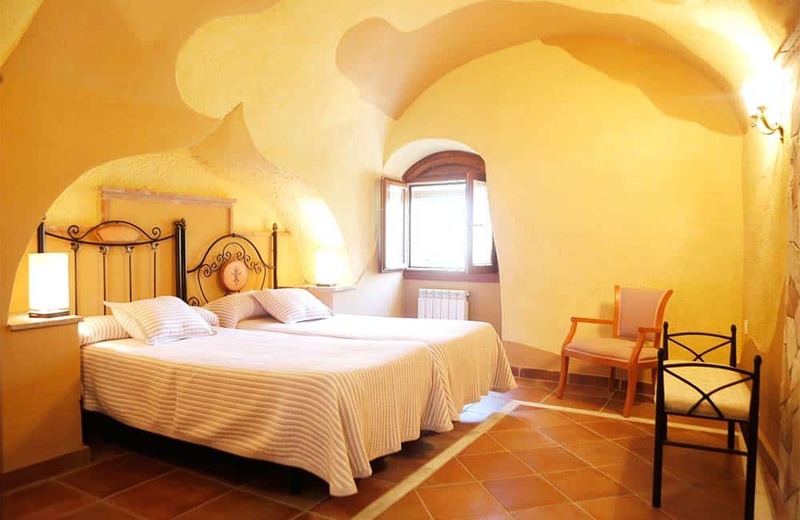 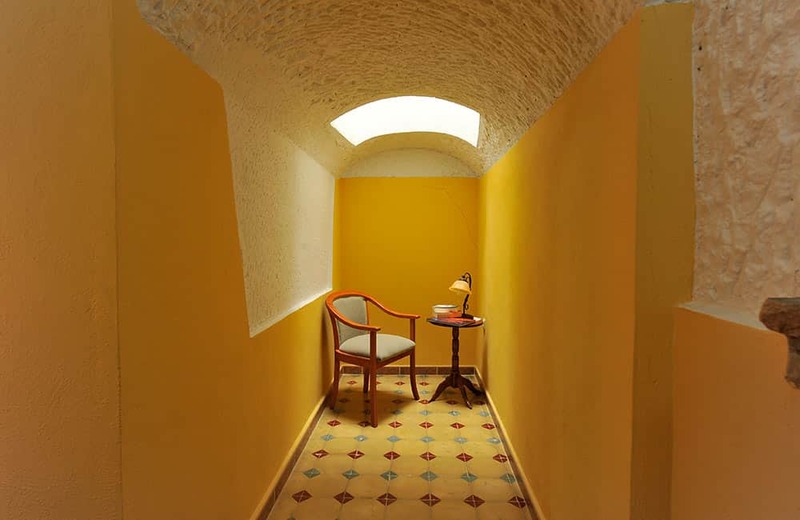 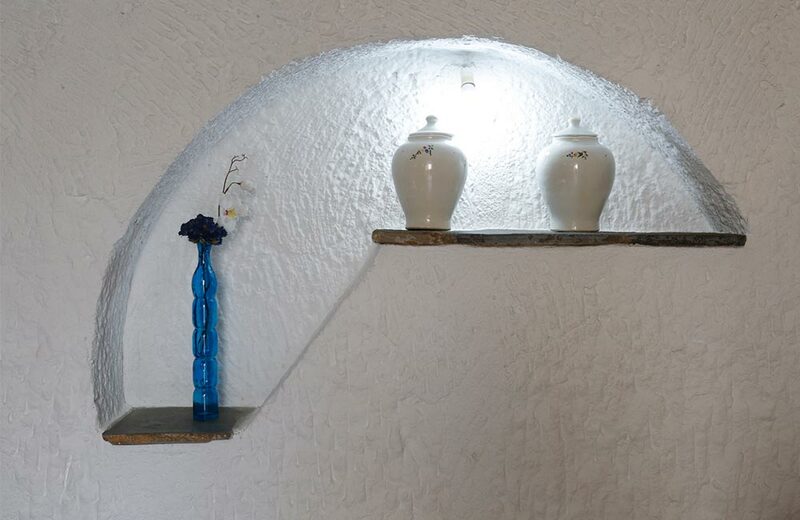 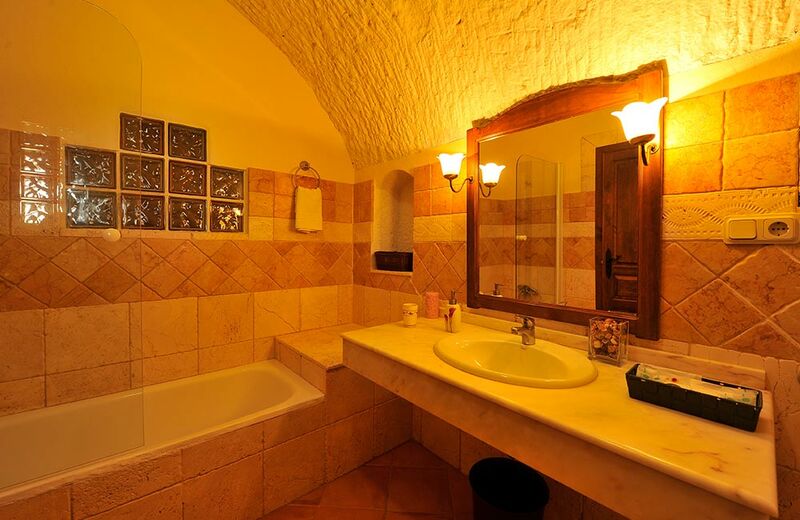 Located next to the restaurant, it is one of the most luminous caves: There’s even a beautiful skylight in the bedroom! 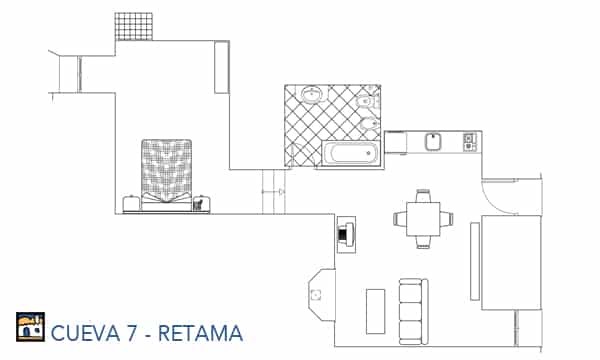 Retama is a shrub that abounds in the area; with long dry stalks used in all kind of “esparto” crafts. 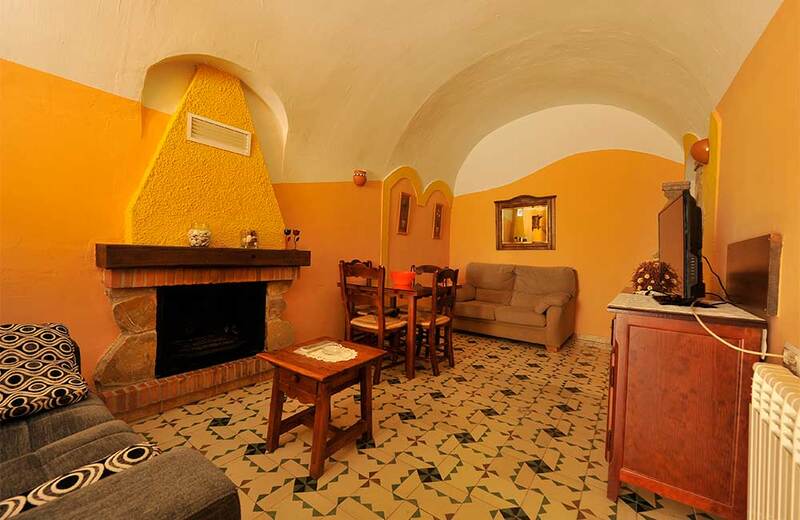 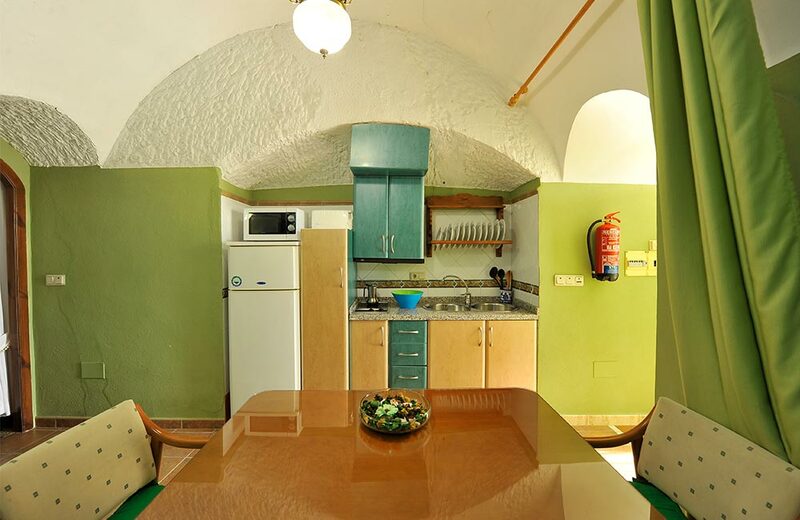 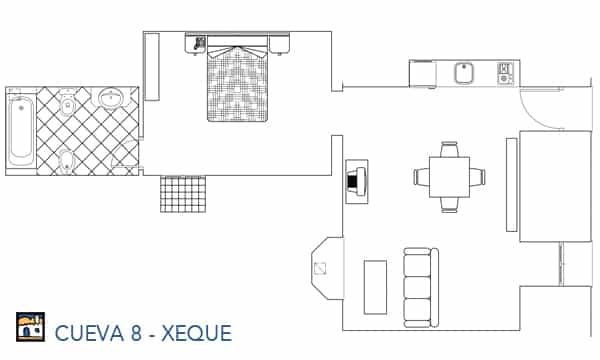 Xeque cave (2 people) has a nice living room with fireplace and a compact, well-equipped kitchen (microwave, toaster, juicer, blender, iron and ironing …). 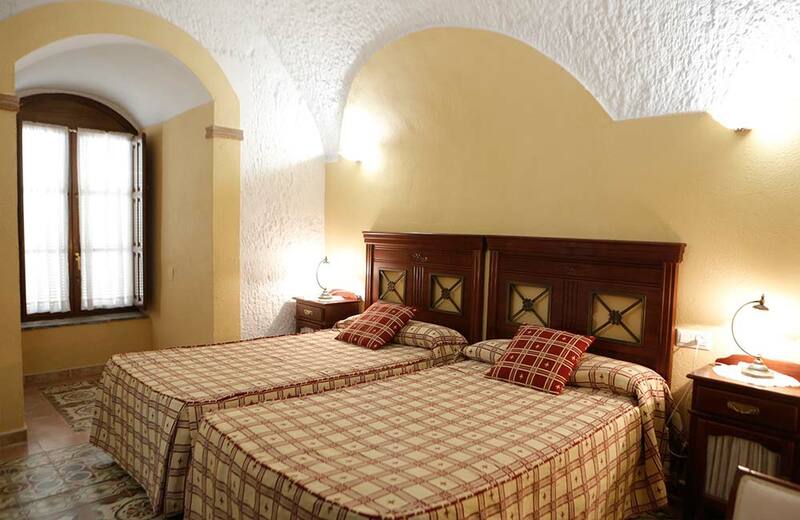 Its bedroom with double bed has a romantic and peaceful atmosphere. 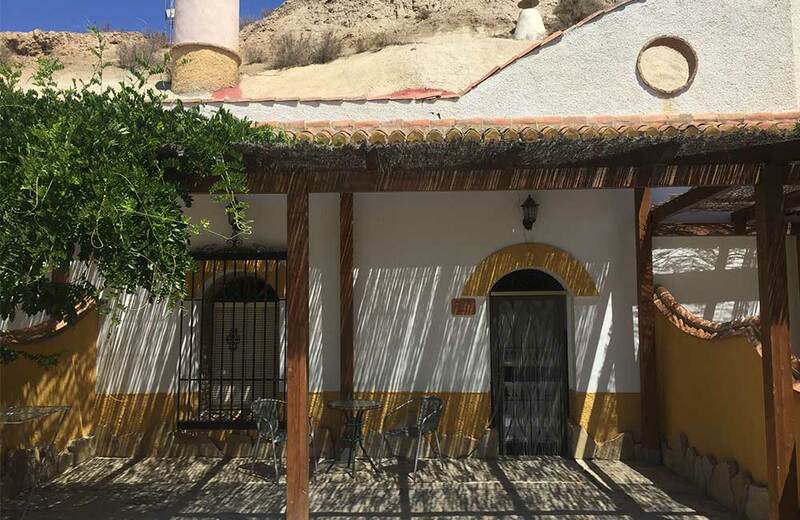 Outside, there is a beautiful wooden porch to enjoy the views of Sierra Nevada and the area. 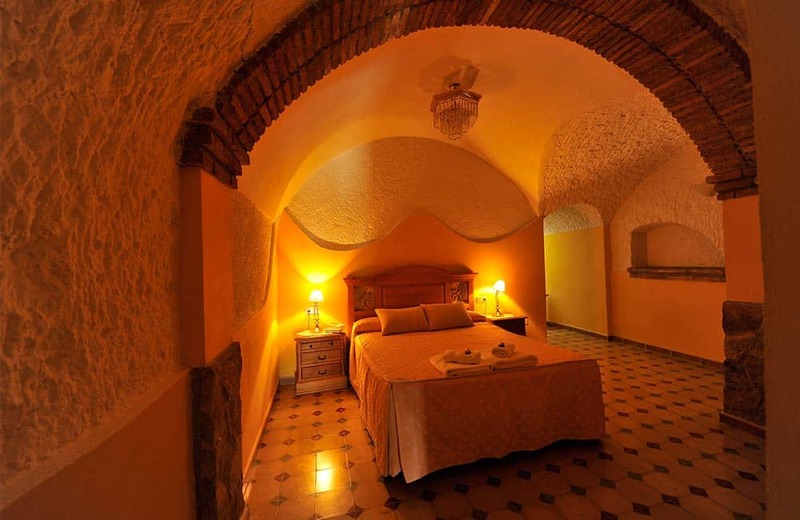  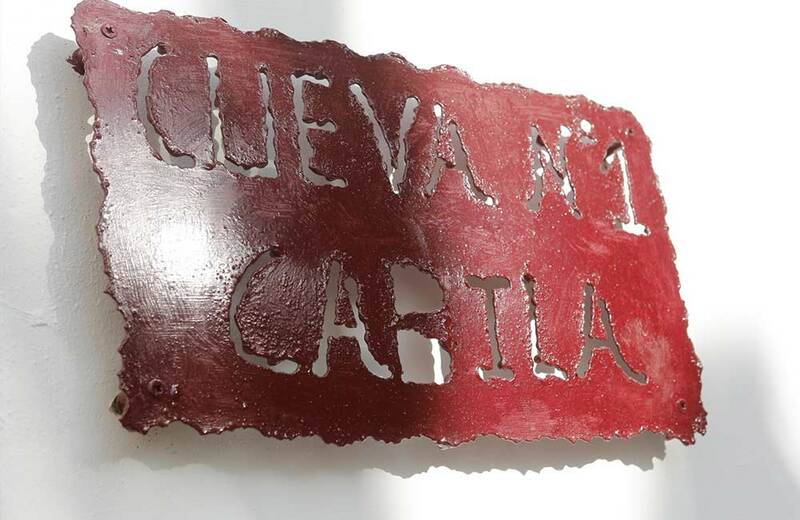  Its name comes from “Cortijo de Zeque”, which is one of the oldest farms in the area.